First, there are those who are called by the law of love which is in their nature, and which original good implanted in them. They achieve the true manner of life, because their souls are ready to follow the love of God. This is the first kind of calling. Second, there are those who hear the written law testifying of the pains and torments prepared for the wicked, and of the promises for those who walk worthily in the fear of God. By the testimony of the written law, their thoughts are roused up to seek to enter into the calling. Everyone who has ever lived has an inbuilt desire to discover the great unknowns of life and death. At some point in our lives, we ask questions that have no answers. These unanswerable questions are usually pursued by venturing into the realm of the spiritual. The monk seeks to present reasons that people discover and satisfy their need for the unknown. The first and the seemingly most noble is love. Anthony asserts that there are people who have a natural gift to love. He terms it the “law of love.” This law draws people toward a calling in Christ. They feel and see the love of God in action and are compelled to follow that law. Their motivation is one of a heartfelt desire to imitate Christ and to be His light for others. The second is fear. I would venture that this is the “fear of the Lord” that is frequently referenced in scripture. These people see the might and majesty of God and quickly realize that they fall woefully short and cry out to God for redemption. The third fear is distraction. Our world is filled with people who live busy and distracted lives. They meet themselves “coming and going” but something drastically changes. All of a sudden, often without warning, they hit a wall. Anthony calls that event a chastisement. That chastisement thrusts them into the presence of God and changes their lives. These wise words should be taken seriously in our present culture. There are so many people crying out for answers that seem elusive to all. Examine what you are going through and I believe that you will see God showing a door that leads to peace. He invites us to walk through that door to experience His love and grace. God has a tailored invitation to all who seek Him. Lord, allow me to see and hear the message that you have prepared for me. May I discover the love that surrounds me and know that you are the source of that love. May I go through this day as one who is at one with you. The monk held the bunch grapes. It looked full and luscious. He decided to present it to the Abbot, who had always encouraged him with words of wisdom. Brother Cook was amazed at the beauty of the grapes, then he thought of the newest entrant to the monastery. He decided to gift them to the youngster as he felt he might be a bit lonely without his family, and also so that he might understand that the work of God is in the smallest details of creation. When the novice received them, his heart was filled with the Glory of the Lord, for he had never seen such beautiful grapes. Just then, he recalled the first time he came to the monastery, and of the simple old monk who had opened the gates and warmly welcomed him; it was that gesture which allowed him to feel at home in this community of people who knew how to value the wonders of life. The church is a community as well, and hospitality should be a primary focus. Today’s church should be a place of welcome to all who come our way. There should be no connotation that only “rule followers” are welcome at the church. I fear that we have forgotten the concept of radical hospitality and confused it with assimilation into our group. If the church is to practice true hospitality, it must practice inclusiveness. That means no one is barred from total participation in the life of the church. I am concerned that we have lost sight of a most important tenet of Christianity. I thank the monastics for giving us a reminder. Prayer Thought – Lord help me to remember that the open door of hospitality can have eternal consequences. Humor aside, the point of the story is that it’s amazing how easily we may sometimes miss the significance of something that is right in front of us. From the rule of St. Benedict, Sixth Century A.D. “If any pilgrim monk come from distant parts, with wish as a guest to dwell in the monastery, and will be content with the customs which he finds in the place, and do not perchance by his lavishness disturb the monastery, but is simply content with what he finds, he shall be received, for as long a time as he desires. 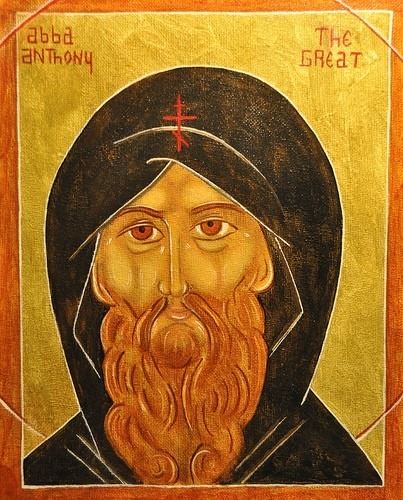 If, indeed, he find fault with anything, or expose it, reasonably, and with the humility of charity, the Abbot shall discuss it prudently, lest perchance God has sent him for this very thing. But if he have been found gossipy and contumacious in the time of his sojourn as guest, not only ought he not to be joined to the body of the monastery, but also it shall be said to him, honestly, that he must depart. If he does not go, let two stout monks, in the name of God, explain the matter to him. True hospitality to the pilgrim is difficult enough, but dealing with someone that disrupts the community is even harder. 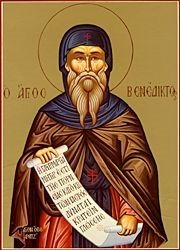 The solution proposed by Benedict is quite radical by our standards. Perhaps the 21st century could learn from him. Who knows? For those new to this page, I have been sharing about my life before I started working for Anne Rice. Anne and I met while I was in a monastery in New Orleans. I was a Benedictine monk for several years. In the last post I shared with you how I made my temporary vows, received the black habit of the Benedictines, and received my monastic name, Becket. In most romance stories there’s the courtship and the marriage and then the honeymoon. For many, once the honeymoon ends, the story ceases to be a romance. It becomes a drama. 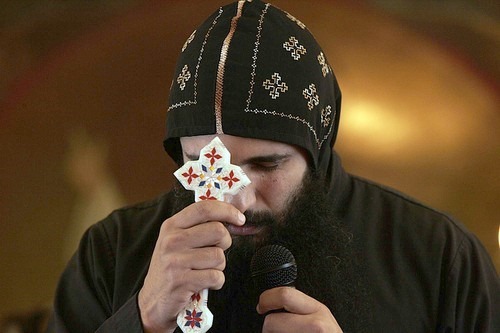 I wish that I could say the monastic life was without drama. But that would be to say that there had been no romance with it either. Yes, before I became a monk, I had a romance with the monastic life. I saw the flowing robes of the black monastic habits, I heard the chanting of the choir monks, and I smelled the good incense wafting in billows throughout the cavernous church. 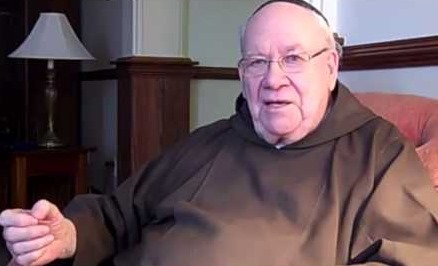 Yes, the monastic life is beautiful, in the same way any marriage or partnership can be beautiful, especially when each person sincerely desires to be united in love. After I made my temporary vows, after I gained my monastic name and donned my new habit, I soon realized one important truth: The monastery wasn’t a museum of heavenly saints. It was a hospital for broken men. And I was a part of them. Indeed I was broken. Were good men in the monastery? Did hurtful things happen there? The monastery, I soon realized, was a microcosm of the world. We were perfectly imperfect men devoting ourselves to prayer and to the great struggle of loving one another with the affection of brothers. After I became an official monk, I received new work. Once a week I had to serve as porter, greeting guests and answering phones. Or I had to ring the church bells for each prayer service. Or I had to serve as waiter at lunch and supper. Or I had to wash dishes. Or I had to read books during meals while my brother monks ate in silence — all of which are more facets of monastic life that I hope to share with you soon. But the honeymoon of monastic life didn’t end there. That was only work. The drama of monastic life began when I had to learn to get along with someone I didn’t like, yet had to love. Brother Simon and I did not get along, at least not at first. From where I stood, he didn’t seem to have any sincere desire to be a part of the monastery. As I’ve written in previous posts, the monastery has specific times for prayer. It’s our horarium. Laudes is the hour for Morning Prayer. Vespers is the hour for Evening Prayer. We have predawn prayer and nighttime prayer and mass. During each of those times, I began the nasty habit of watching Brother Simon because he wasn’t paying attention to the prayers. He was looking around at all the paintings in the church, and at the gorgeous architecture, and at the magnificent pipe organ, and at anything but his choir book. I could not understand how anyone would want to be a monk yet at the same time seem so irreverent. I brought my grievances to my spiritual director, Father Ambrose. It was supposed to be my time for spiritual direction. But I was squandering it as a chance to gripe about Brother Simon, who I thought should leave the monastery. “My life would be better if he left,” I said. Father Ambrose was patient and kind with me. His wise and wizened face smiled. He scratched his long white beard. He thought before he spoke. Like all sagacious men, he only needed to tell me a few words. With his few words, he reminded me that I didn’t know what was in Brother Simon’s heart. My brother might be paying attention to prayer, just not in the same way that I pay attention. With his few words, Father Ambrose reminded me that I might be just as guilty as my brother. Brother Simon might not be watching his choir book. But neither was I. I was watching him watch other things. I was shaken like never before. These words caused in me a cascade of thought, helping me realize that everyone is bothered by someone. It’s a part of human nature. But Father Ambrose continued helping me see that human nature also has a surprising capacity to transcend brotherly hate. At that moment I understood: That’s what it meant to be a monk. 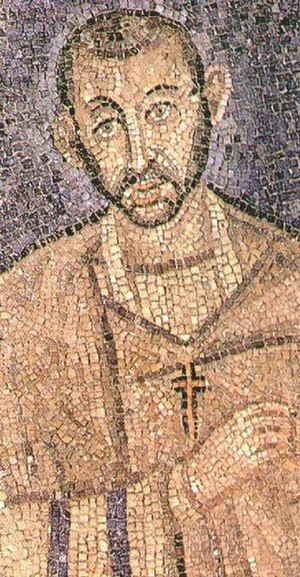 Being a monk wasn’t only about the work of prayer. I was supposed to be working what I’d learned in prayer. I had been unjustly judging Brother Simon. I was looking at the outside of the man, yet I wasn’t searching for the interior life of the monk. You see, not all monks are the same. We were simply men who had one important common bond: We have a deep interior life that searches for an existential truth by means of work and prayer. We worked together. We prayed together. Yet sometimes we struggled to be in the same church together. The thing that kept us working together and praying together was our long-term goal of discovering truth along the pathway of self-discovery and self-sacrifice. The more we discovered about ourselves, the more we were challenged to sacrifice. Father Ambrose had handed to me a profound helping of self-discovery. Now it was time for self-sacrifice. So, Brother Simon and I talked. It was all that needed to happen. Brother Simon and I communicated our struggles. We shared our fears and our hopes and the things that confused us. Most importantly, we listened to one another. Today Brother Simon heads the media department at the monastery. It took some time, but I have come to admire him greatly. He has excellent taste in the visual arts. He’s a wonder with Photoshop. If I’m not bothered by this person, I’m going to be bothered by someone else. I can’t rid myself of temptations to hate. That would be impossible. Temptations are natural. Hate is natural. But sacrificing my “self” is also a natural action. In the same way I chose to start seeing the inside of Brother Simon, I try to see the heart of the brother or sister beside me. Does it expunge the temptation to hate? No. But it does diminish it enough for me to work with kindness and patience. But the purpose of my life isn’t to be pure perfection. It’s to accept myself as a perfectly imperfect person, struggling to surrender. What am I surrendering to? A truth that I’m still trying to accept: I don’t know everything. But I know enough to be kind. At the heart of every religious vocation is the call to love. Love one another as we are loved. Sometimes love is prayer. Other times it’s work. Before I entered the monastery, I don’t think I loved myself. Sure, I had a healthy hope of survival. But that’s not the same as healthy self-love. To be perfectly blunt, I didn’t love myself because I couldn’t. I didn’t know who I was. How could I love someone I didn’t know? This question begged another: If I don’t love myself, how can I love someone else? Before the monastery, I didn’t fit in. In high school I clique-hopped. Early college too. I couldn’t do that in the monastery. There were no cliques. There was only a small group of men working everyday to be kind to one another. So my first year in the monastery was the quintessential pivot-point of my life. It shifted me from self-ambiguity to healthy self-love. As a novice I had to have a spiritual director. Usually this is an older or more experienced monk acting as a guide to monastic formation. One monk in particular I hoped would be my spiritual director, Fr. Ambrose. He was elderly, wore large glasses, and had a long white beard. He was always reading, always quiet. He seemed to have an appealing grandfatherly kindness. Later I came to know him better. Today I believe he denied my request because all he truly wanted was to diminish before his brothers. That is, he wanted a more hermetic life. Quiet, simple. A brash novice like myself was a thunderclap in his serenity. Despite my disappointment, I returned to him twice more. Finally he consented. I became his spiritual directee. Quickly I discovered that he and I had different personalities, and that we appreciated different ways of communicating. Nevertheless, he proved to be the best spiritual director I ever had, and one of the best men I’ve ever known. What didn’t I possess, Fr. Ambrose? “Your self,” he said to me. The true journey of my monastic vocation began at that moment. Be hospitable to one another without complaining. Like good stewards of the manifold grace of God, serve one another with whatever gift each of you has received. Monastic hospitality is the model for us today. The monastic way of hospitality holds the key to the future of the church, at least here in the United States. Monastic hospitality requires that the Monastery doors be open to all Christians who present themselves to the porter at the gate. Churches and Christians need to realize this kind of hospitality may require changes of attitude, and even lifestyles, so that the church can be a more vital place ministering to others in the twenty first century. Our challenge is to finds ways that we can practice hospitalty in our everyday lives. When the “open door” becomes a way of life for us God will bring blessings to our lives. We can all practice hospitality in simple ways. Here are a few. Throw a party and invite someone new. Greet strangers as Jesus did. Invite someone to your home for a meal. Prepare someone’s favorite food for them. Turn the TV off and log off the computor when a guest arrives. Make your guest feel like you are interested in them. Dictionary.com defines hospitality as “the friendly reception and treatment of guests or strangers.” I think the keyword here is “friendly” because we can receive people and show no feelings at all. We can receive them coldly, or make it obvious that we’re put out.I think in our American culture many of us have forgotten what it means to be hospitable. Sure we all put on a good face when we have people over on our terms (like for a dinner party), but what about being hospitable when it is an inconvenience for us? I think about when people stop by our home and we’re watching TV.